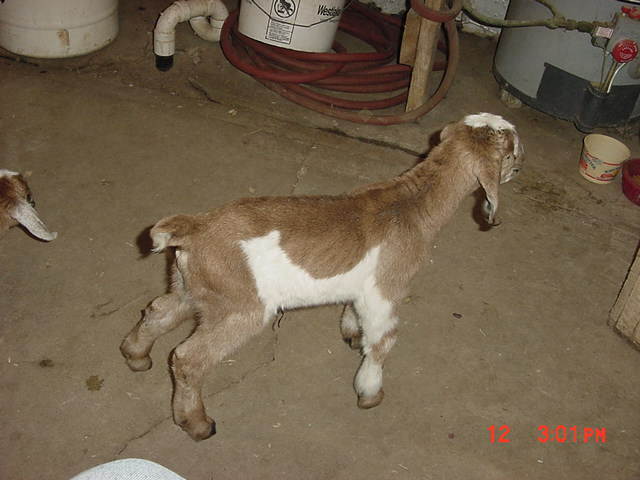 2-01, 251, 1498, 4.7% 71 lbs., 3.8% 57 lbs. 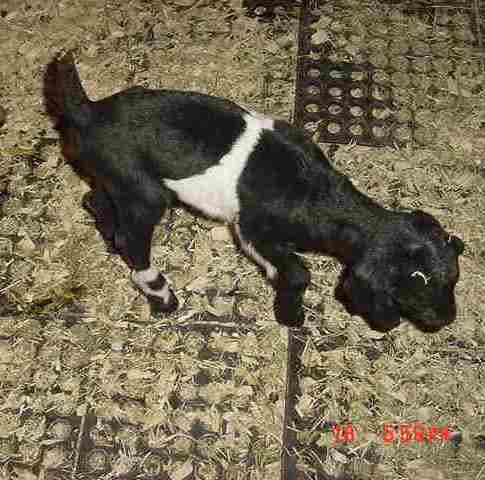 6-01, 234, 2223, 4.0% 90 lbs., 3.7% 82 lbs. 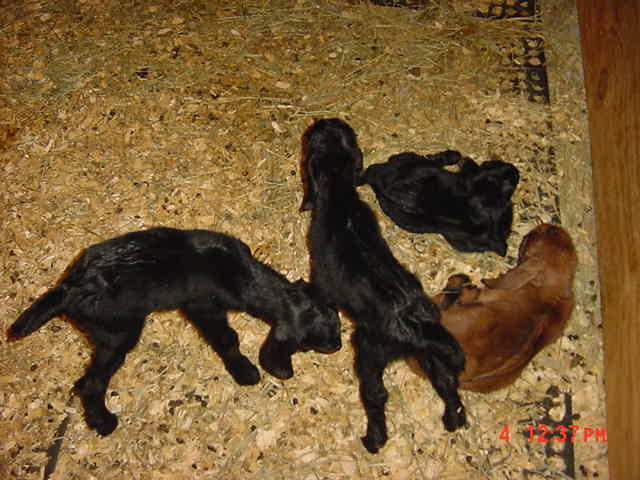 NOTICE THE SOFT 3x3 FOOT INTERLOCKING RUBBER MAT FLOORING OVER THE 4-INCH BED OF MAN SAND. 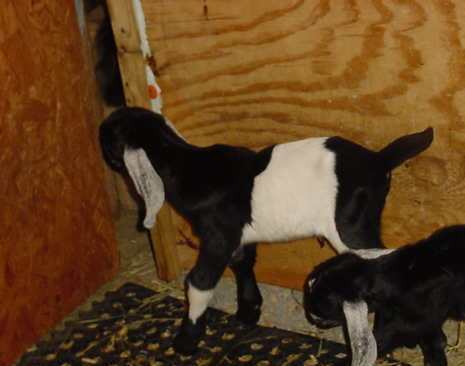 WHAT A DIFFERENCE 30 DAYS MAKES! 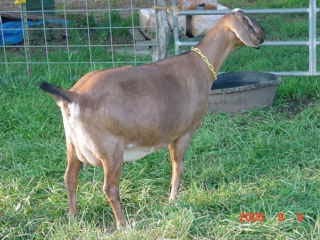 JULIANA IS DRY IN THE ABOVE PICTURE BUT YOU CAN SEE HER DAM, SANS SOUCI NN TRISHA GAY, 4*M, ON OUR HISTORICAL ANIMALS PAGE ON OUR DROP DOWN MENU AND GET SOME NOTION OF THE NICE UDDER SHE HAS WHEN SHE IS IN MILK. 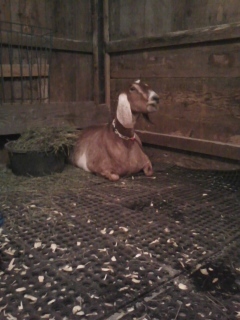 JULIANA HAS ONE GCH LEG. 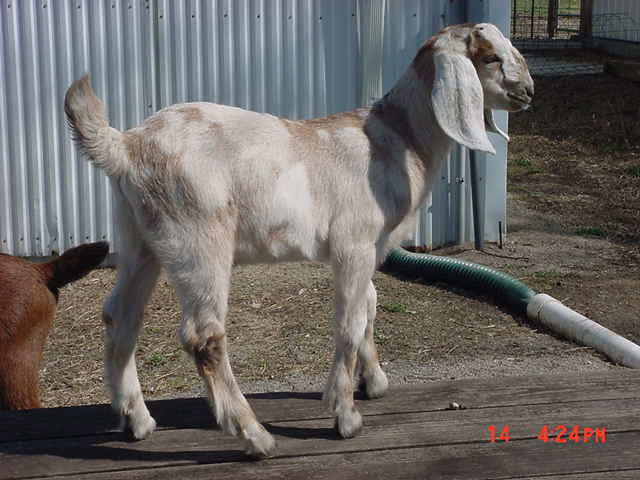 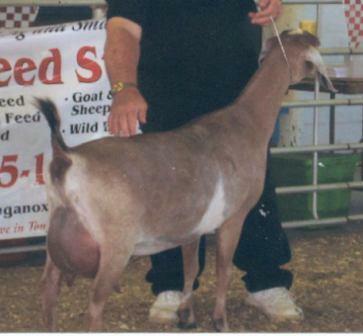 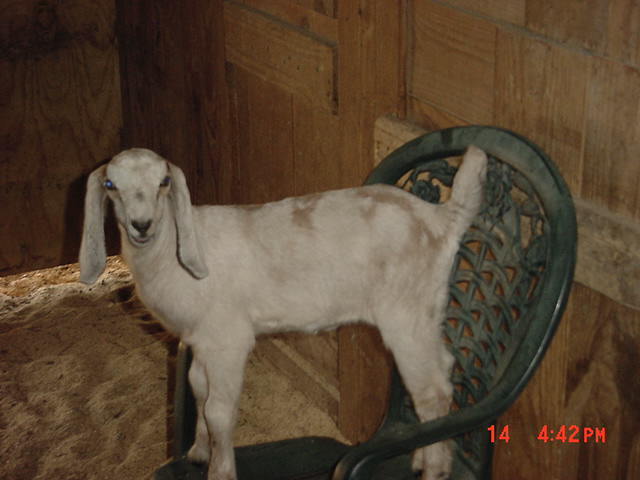 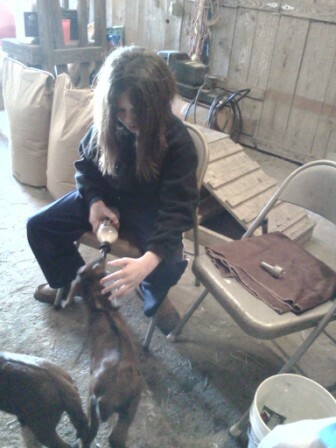 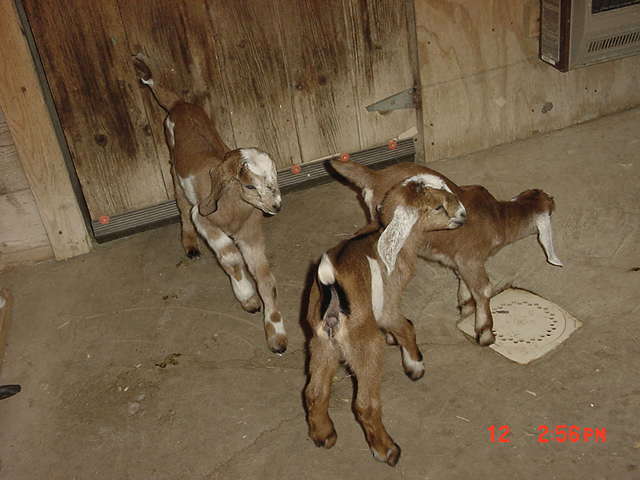 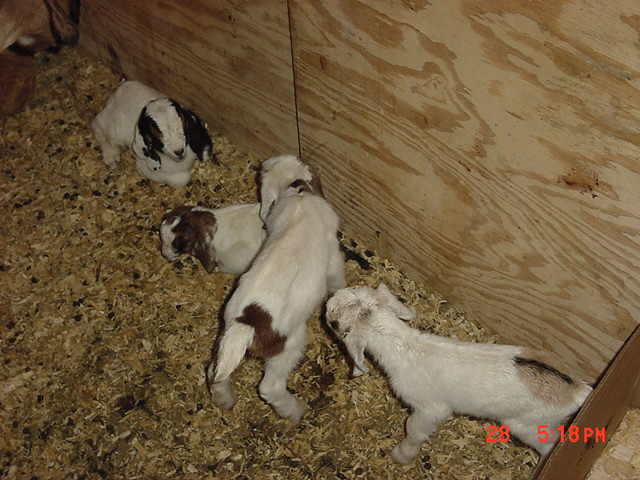 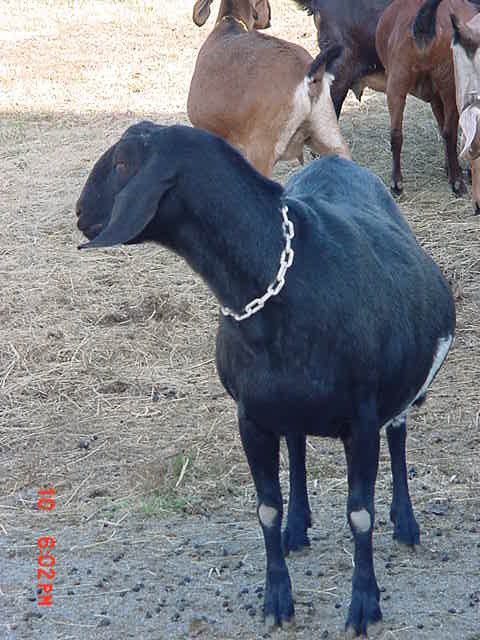 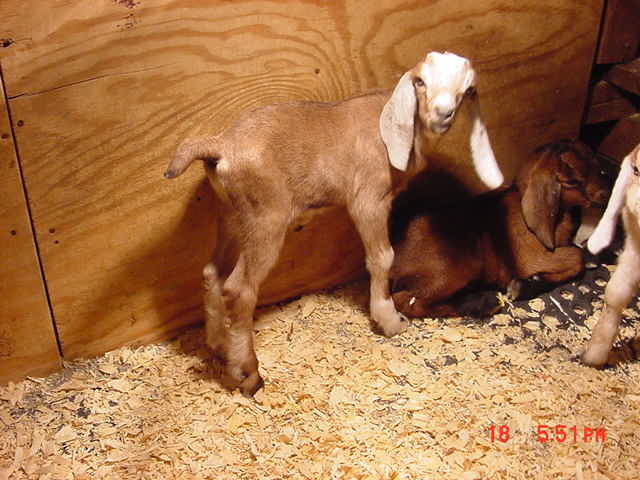 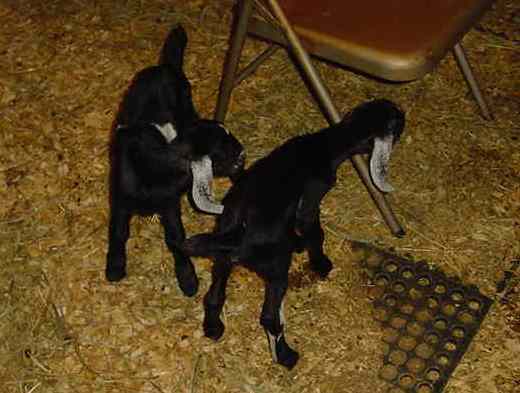 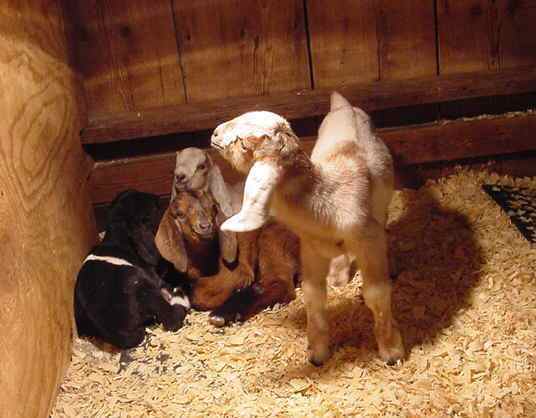 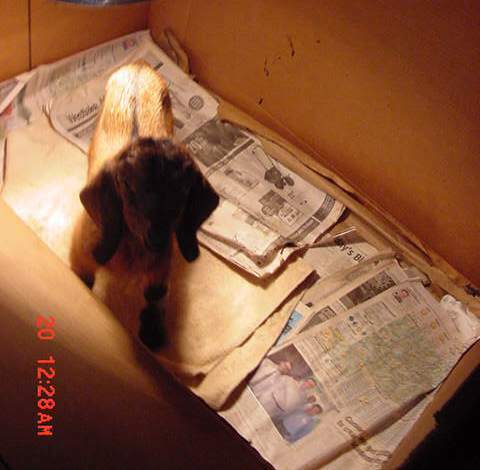 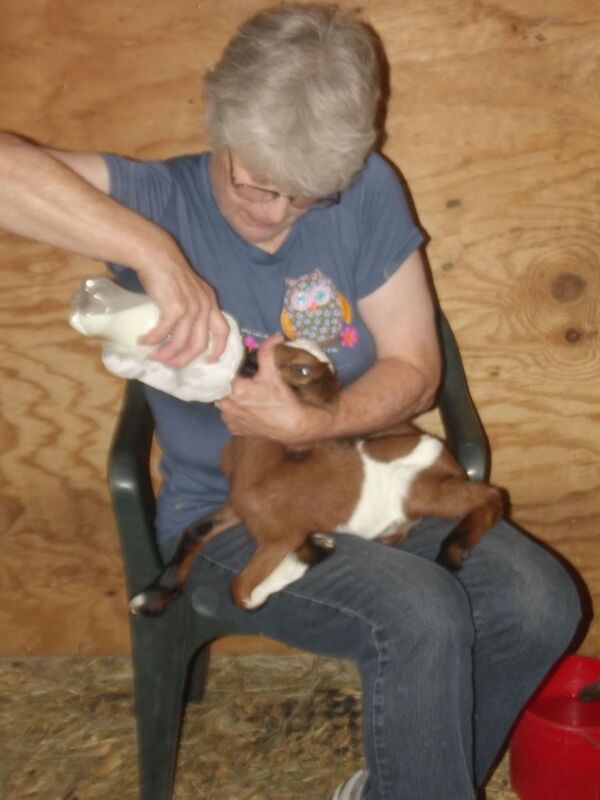 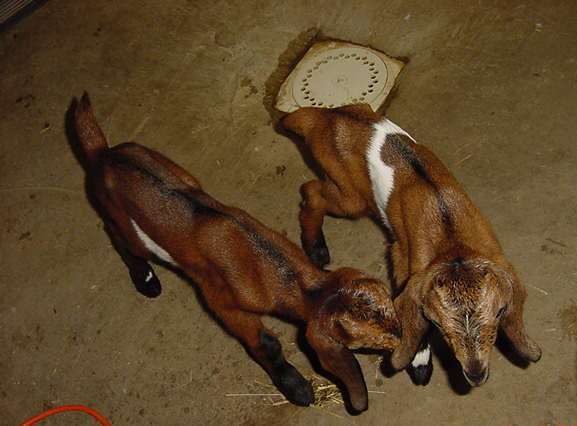 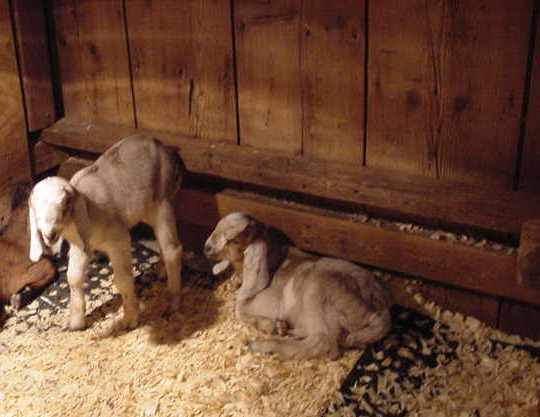 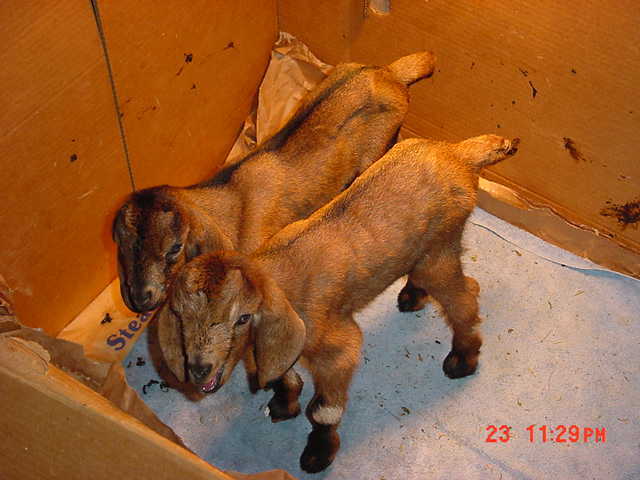 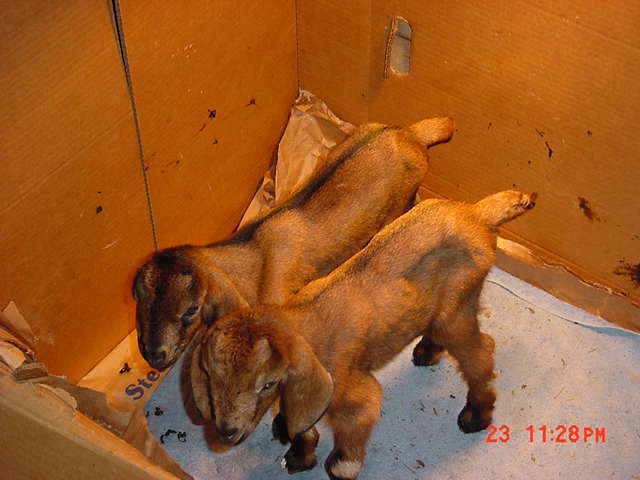 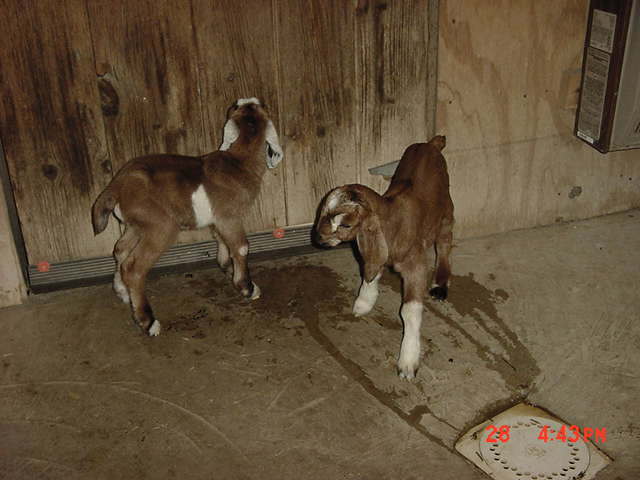 ONE OF ELECTRA'S 2008 QUINTS. 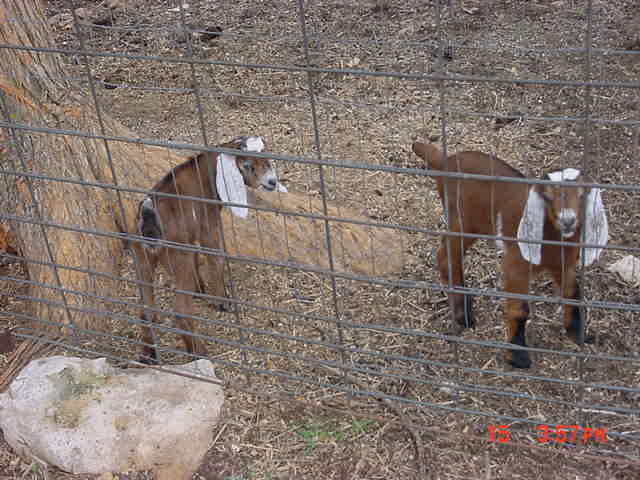 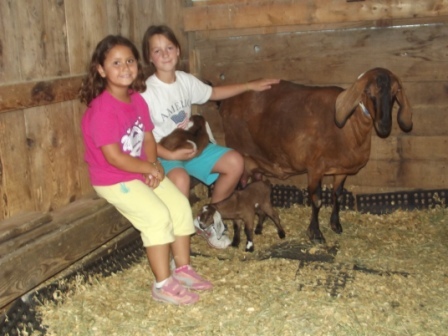 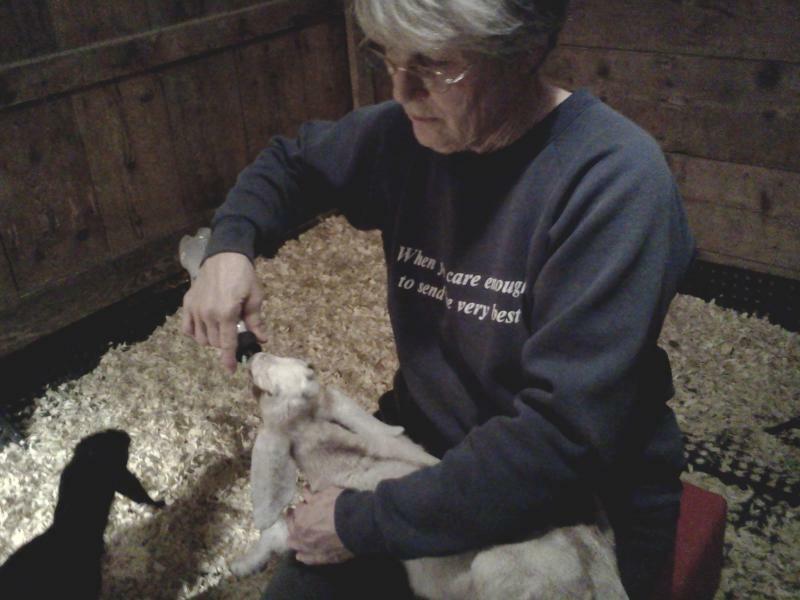 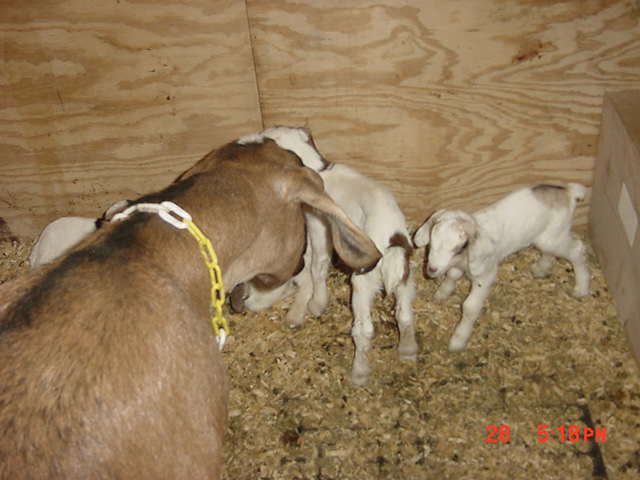 FIRST BORN WAS THE BLACK AND WHITE KID WITH WHITE EARS AND COMPLETE WHITE BAND,THE BUCK BORN AT 4:30 P.M.
SECOND BORN WAS THE BLACK AND WHITE KID IN THE BACKGROUND, THE DOE WHO WAS BORN AT 4:44 P.M.
GRANDDAUGHTERS MARIANNA FLORES (PINK SHIRT) AND GRACE HAMBY (WHITE SHIRT) OBSERVED BIRTHING AND HELPED TO FEED COLOSTRUM. 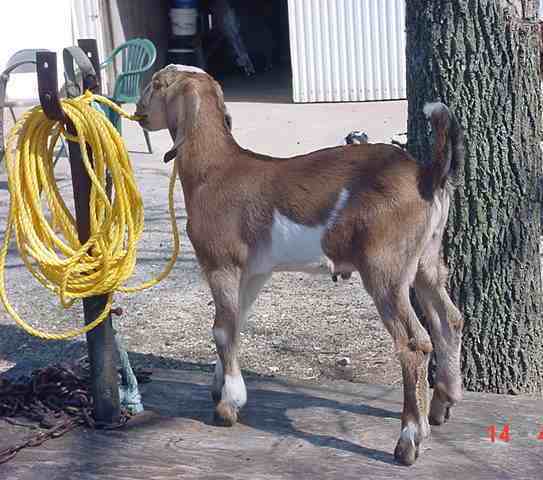 2-00, 305, 2144, 4.2% 89 LBS., 3.7%80 LBS. 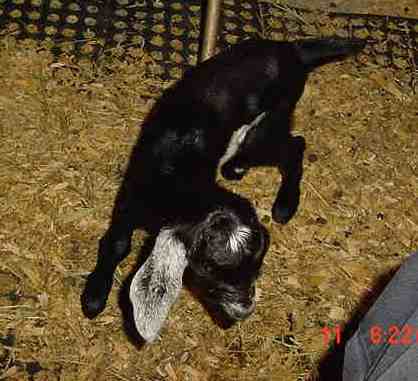 3-00, 294, 2720, 4.0% 108 LBS., 3.6% 99LBS. 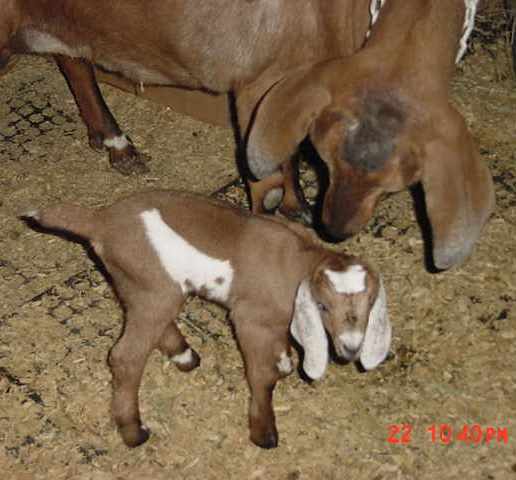 BUCK KID BORN 12:30 a.m.
1-10, 302, 2052, 4.7% 96 LBS.,3.9% 80 LBS. 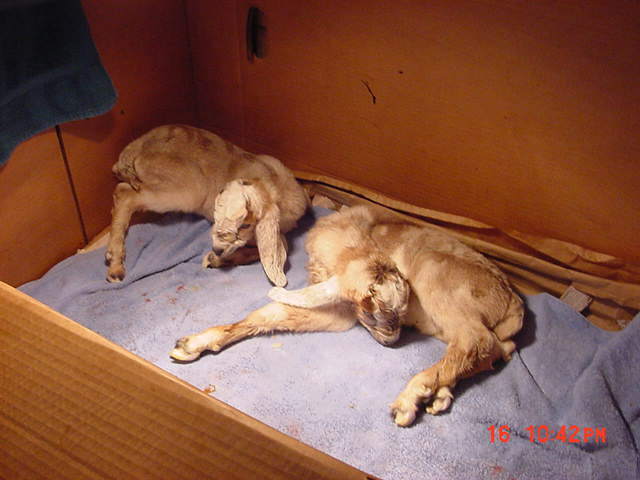 WAITING IN ONE OF OUR HEATED BIRTHING ROOMS DUE TO KID THURSDAY, FEBRUARY 16TH., 2012! 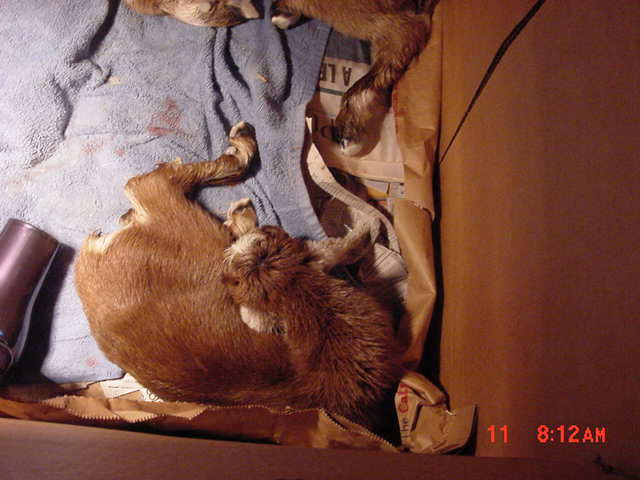 HAD QUADS, 2 born AT 11:45 PM, WEDNESDAY, FEBRUARY 15, 2012 AND 2 born AT 12:05 AM, THURSDAY, FEBRUARY 16, 2012. 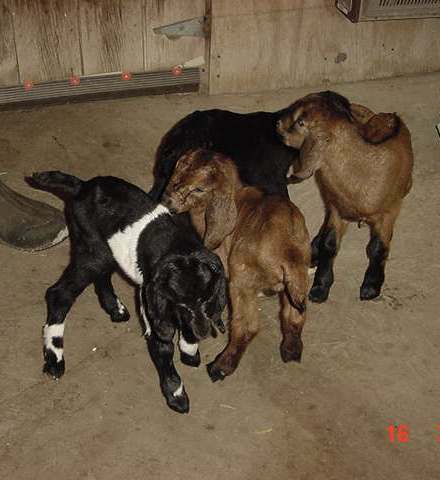 THE BROWN KIDS AND THE COAL BLACK ONE ARE ALL THREE BUCKS AND THE BLACK AND WHITE KID IS THE DOE. 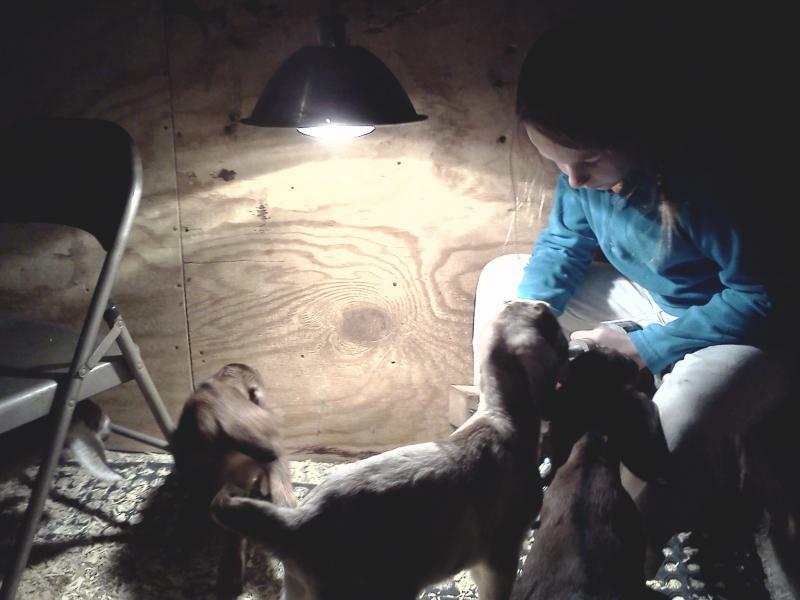 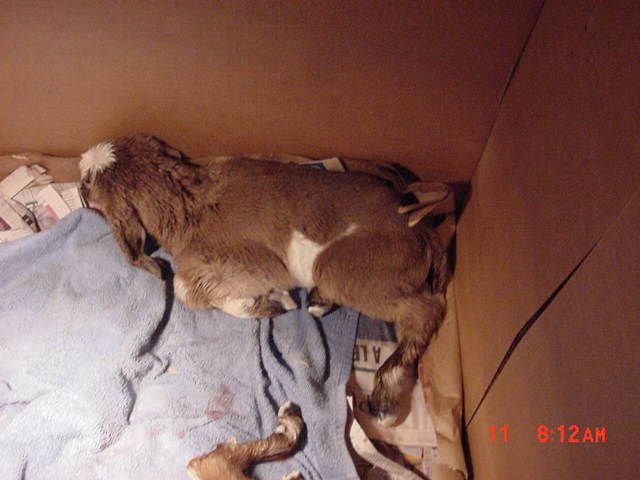 HAD QUADS AT 11:45 PM, WEDNESDAY, FEBRUARY 15, 2012 AND AT 12:05 AM, THURSDAY, FEBRUARY 16, 2012. 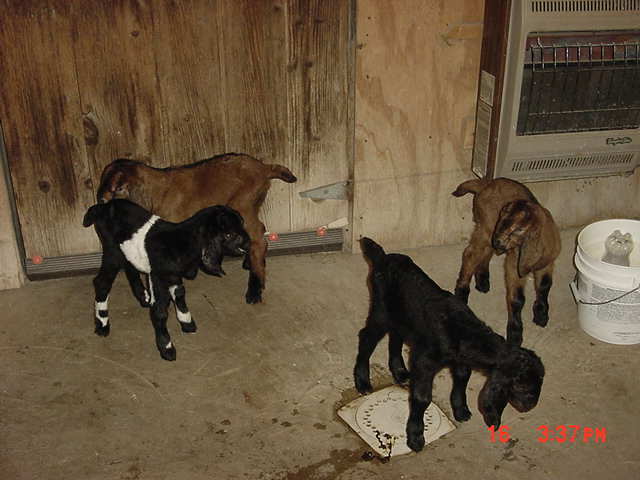 THE BROWN KIDS AND THE COAL BLACK ONE ARE ALL THREE BUCKS AND THE BLACK AND WHITE KID IS THE DOE. 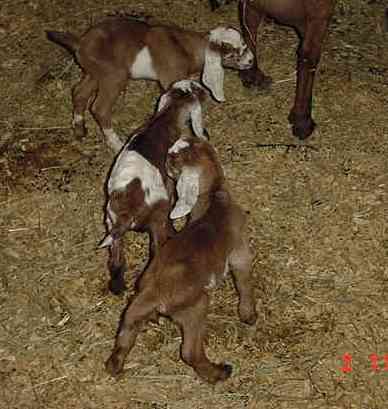 HAD QUADS for the 2nd. 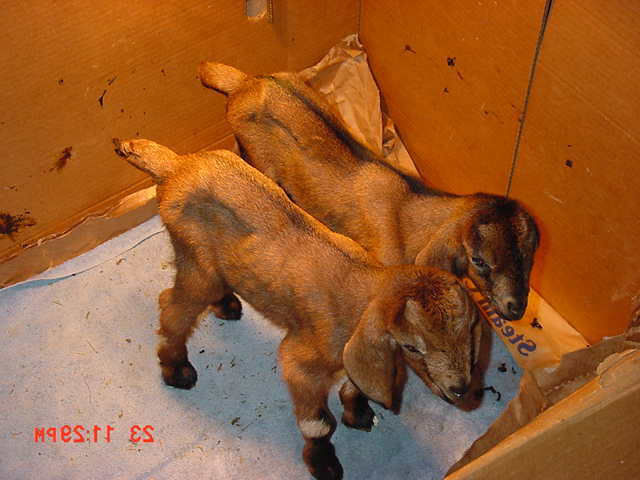 consecutive year, 2 were born at11:45 PM, WEDNESDAY, FEBRUARY 15th., 2012 AND 2 were brorn at 12:05 AM, THURSDAY, FEBRUARY 16th., 2012. 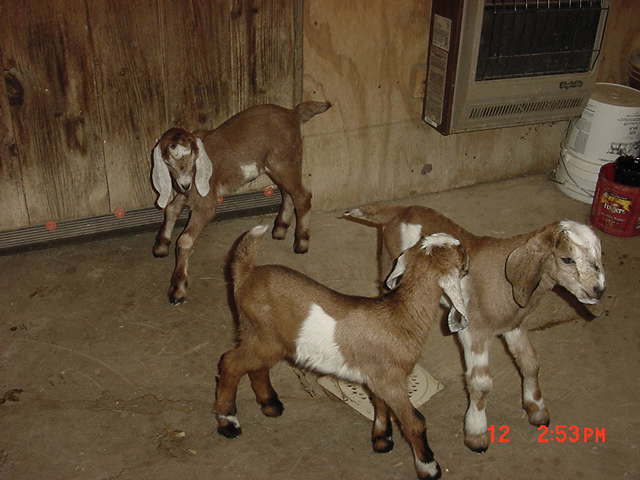 THE THREE KIDS PICTURED ABOVE ARE ALL BUCKS. 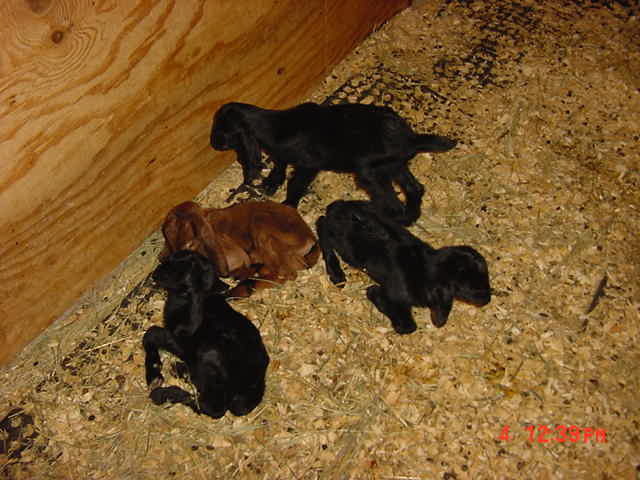 3-01, 259, 1292, 4.9% 63 lbs., 3,8% 49 lbs. 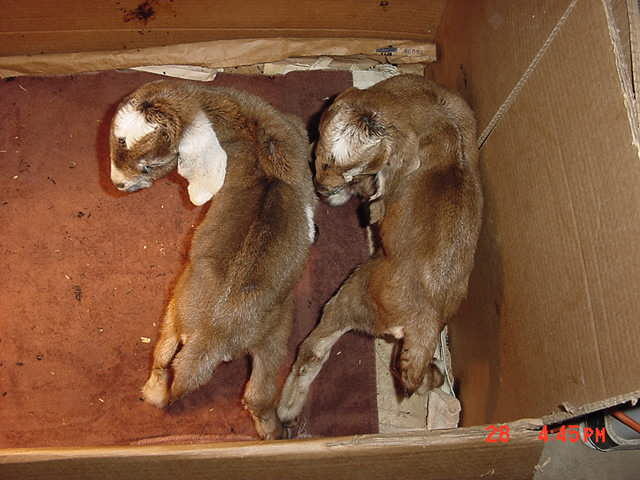 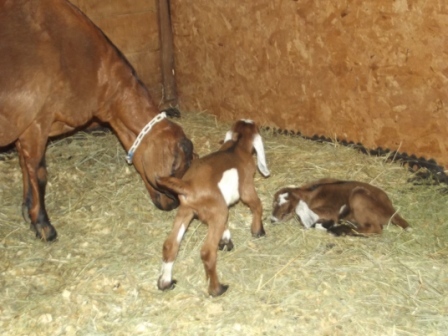 PRAIRIE GOLD'S TWINS BORN 02 - 17 - 2012 AT 7:00 - PM - THE SPOTTED DOE CAME FIRST AND THE MONSTER SPOTTED BUCK WAS LAST BORN. 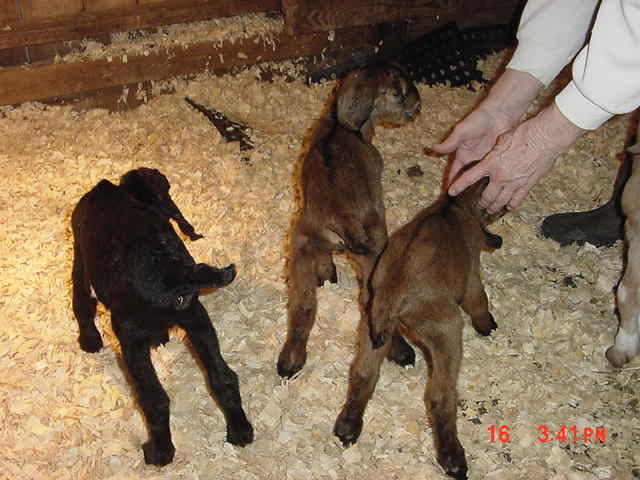 THEY ARE ABOUT 2 HOURS INTO THE WORLD AND FULL OF COLOSTRUM AND ARE NOW DOWN FOR A NAP. 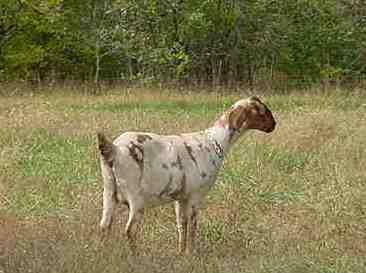 THE DOE KID IS GOING TO PRINCETON, MO. 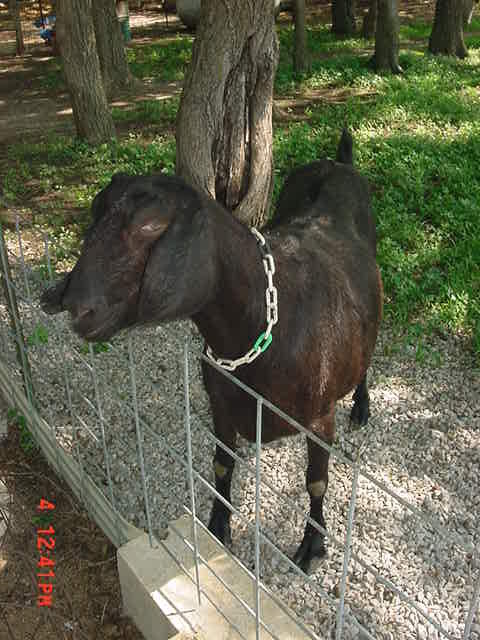 She went to her new home in Princeton, MO. 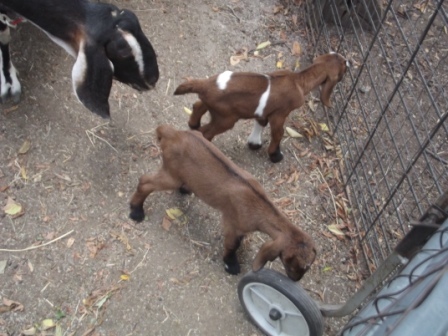 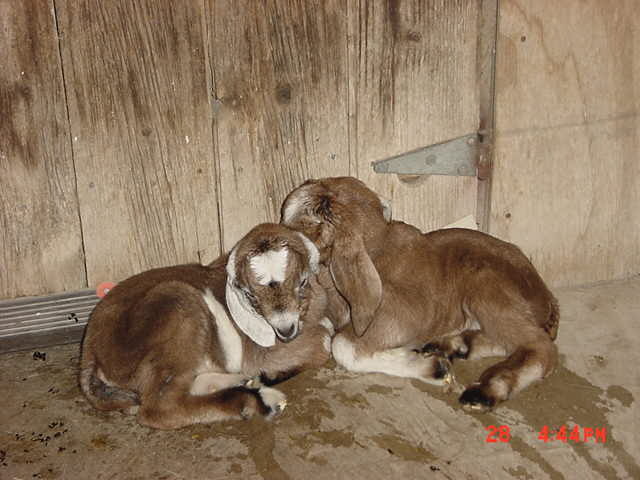 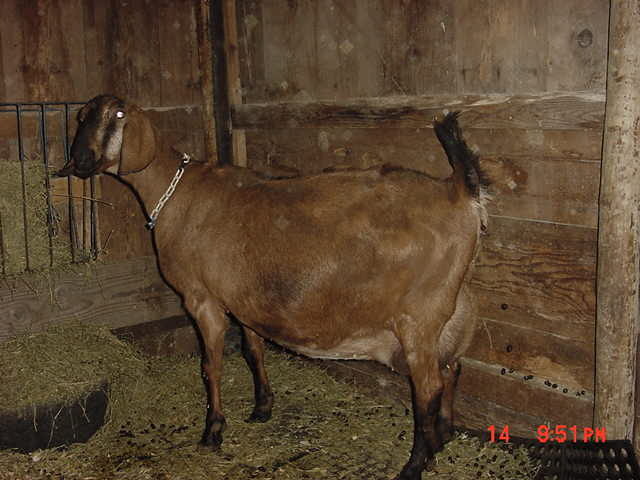 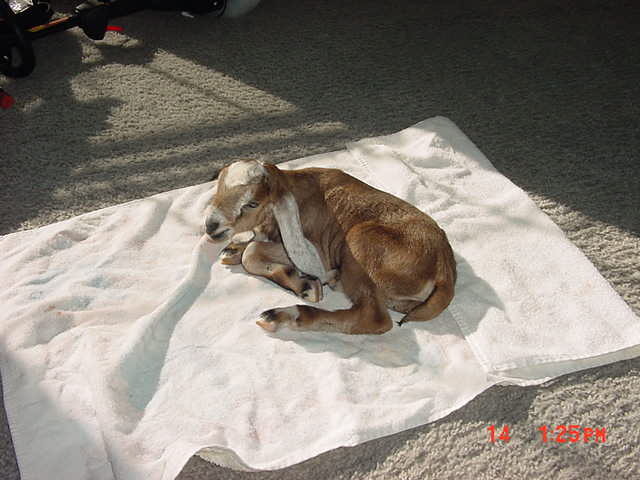 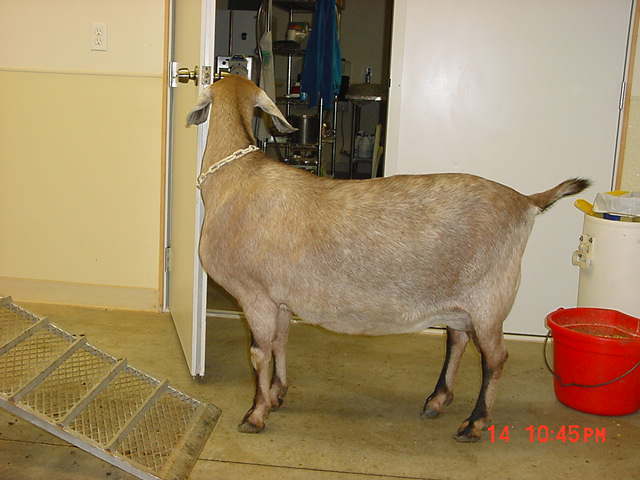 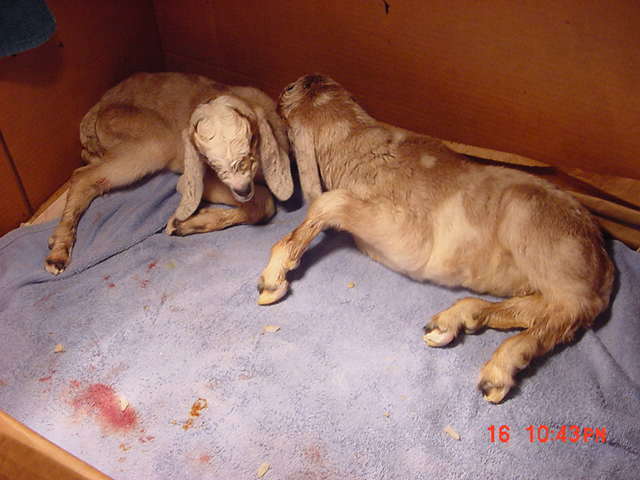 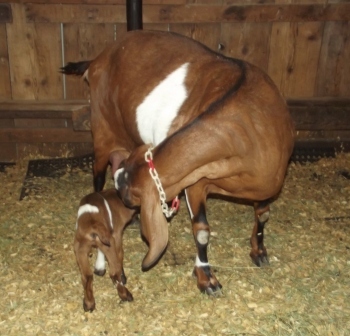 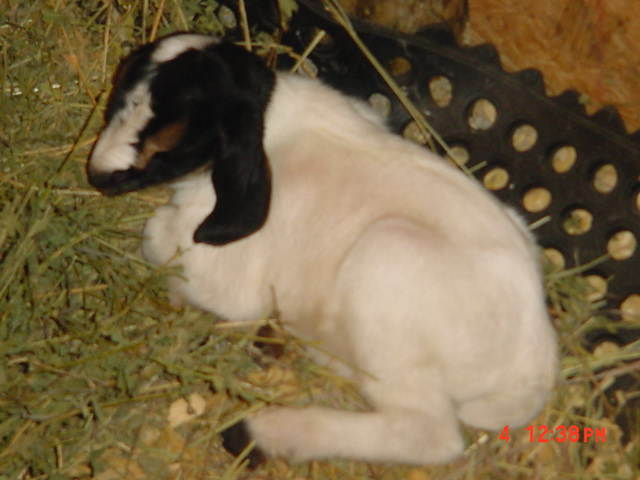 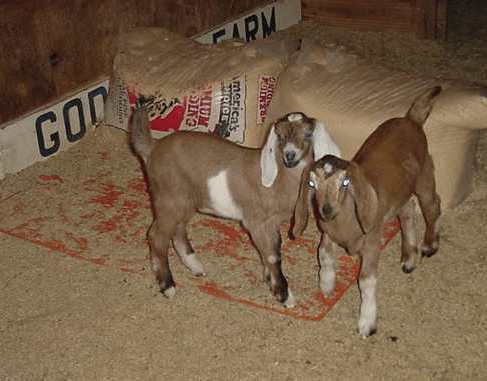 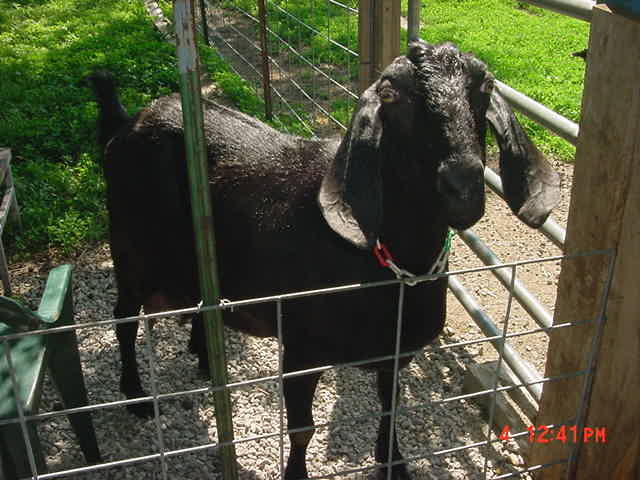 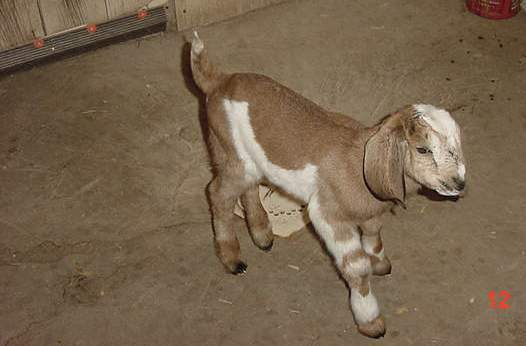 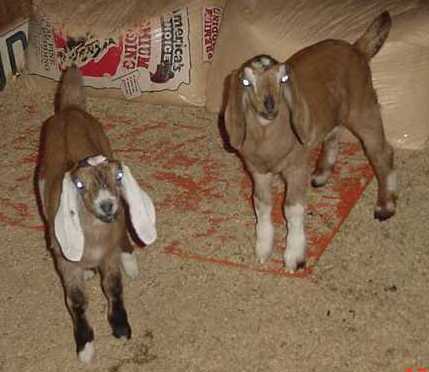 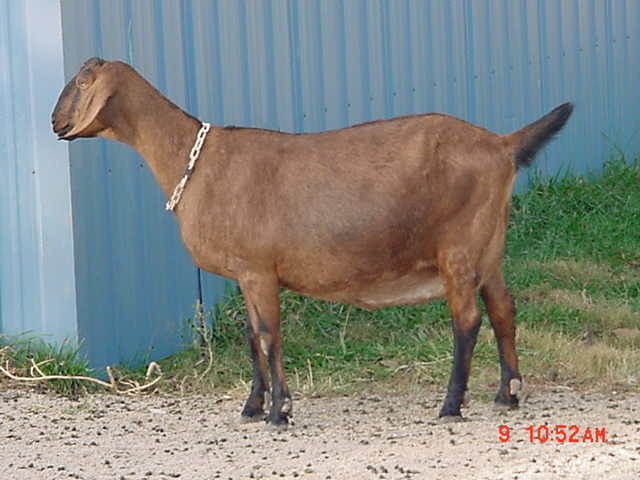 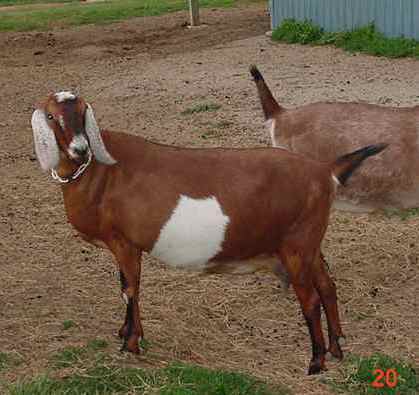 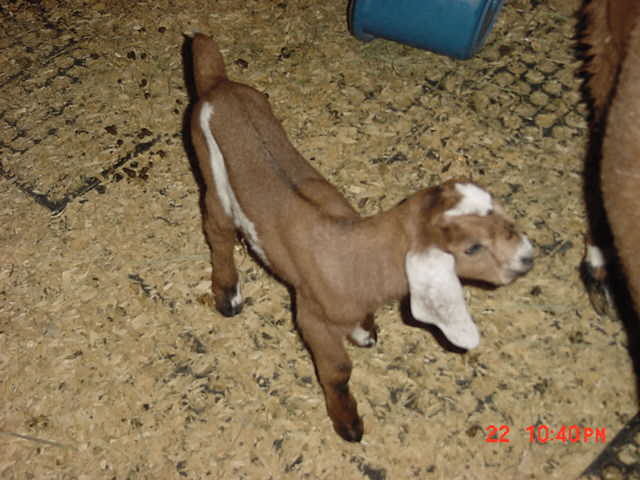 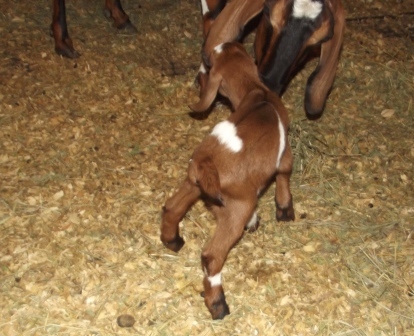 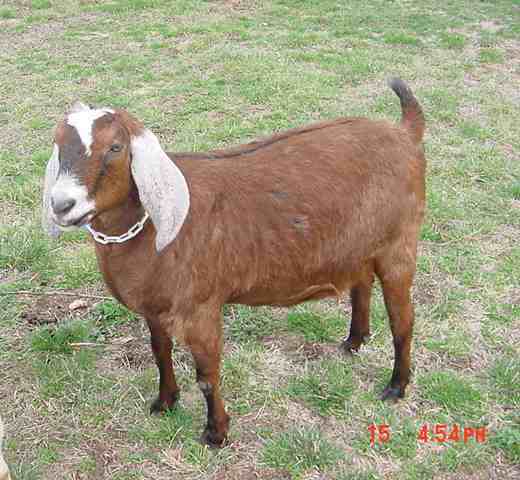 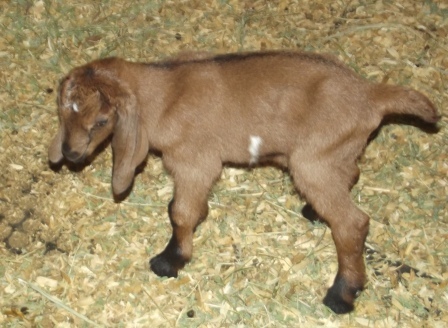 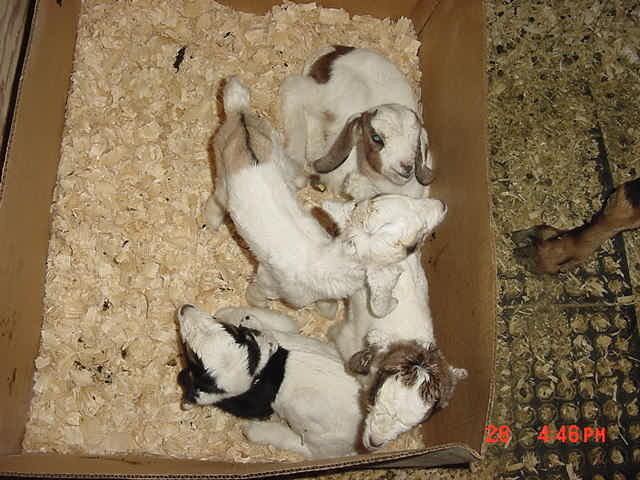 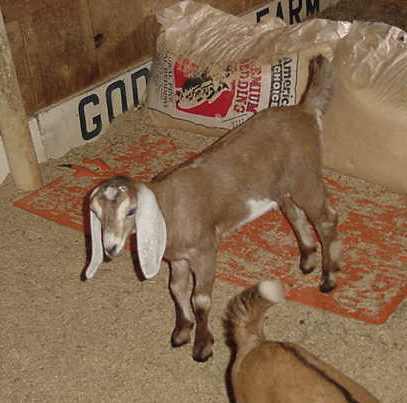 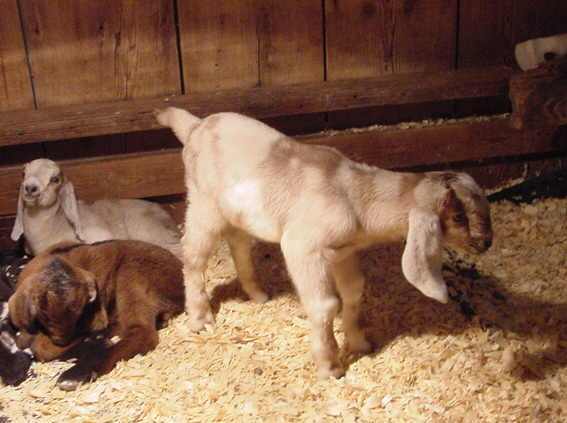 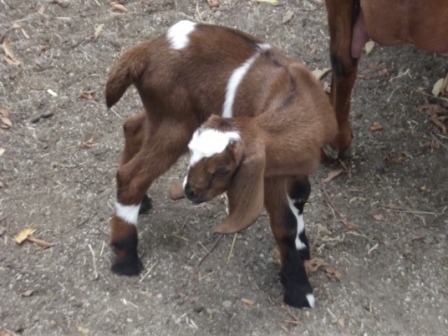 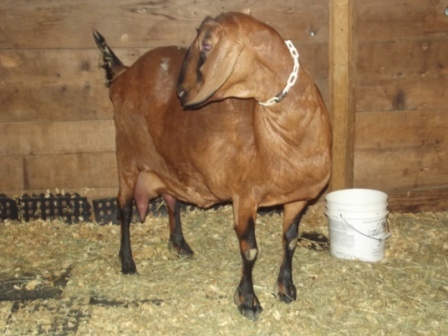 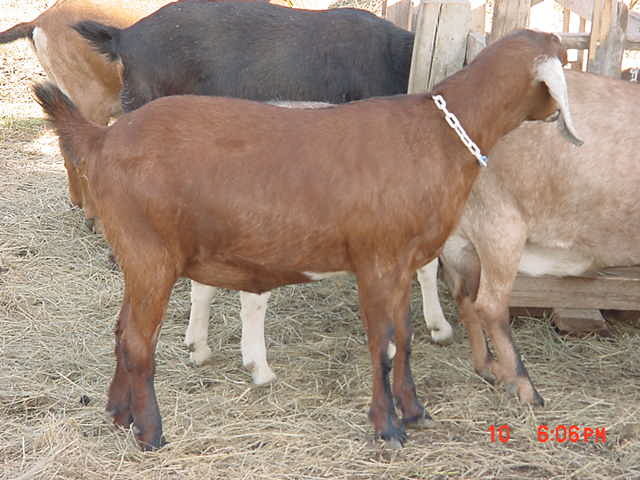 GODDARD FARM WADI MUSA 4*M IS IN THE BIRTHING ROOM DUE TO KID THURSDAY, FEBRUARY 16TH., 2012! 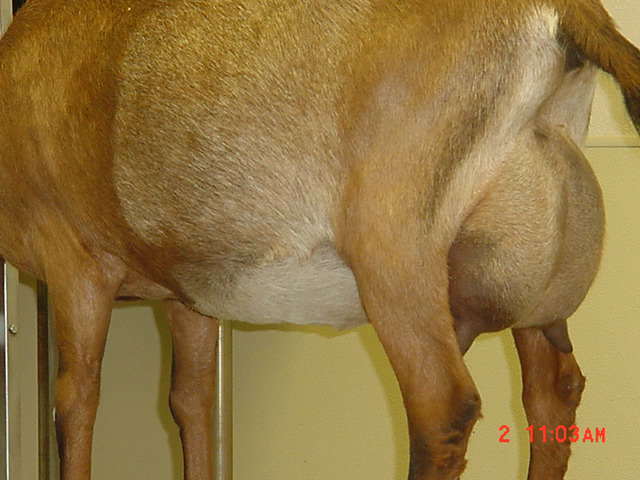 1-10, 281, 1646, 4.9% 80 LBS., 4.2% 69 LBS. 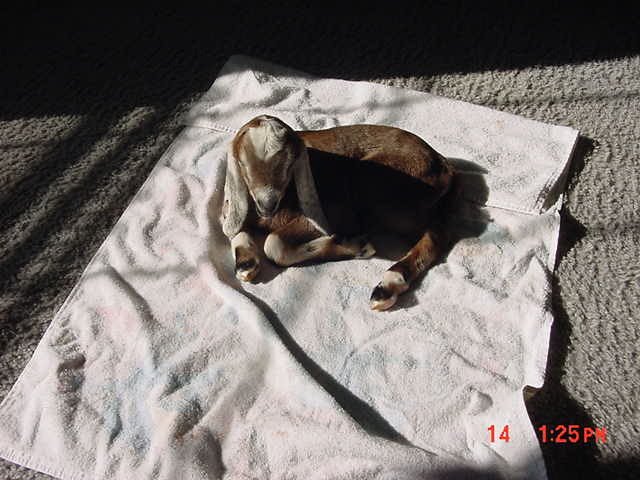 2-10, 279, 2238, 4.8% 108 LBS., 4.1% 91 LBS. 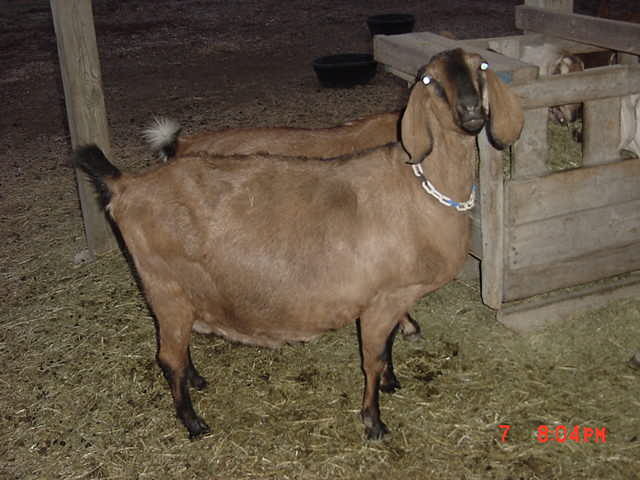 3-10, 288, 1801, 4.6% 83 LBS., 4.2% 75 LBS. 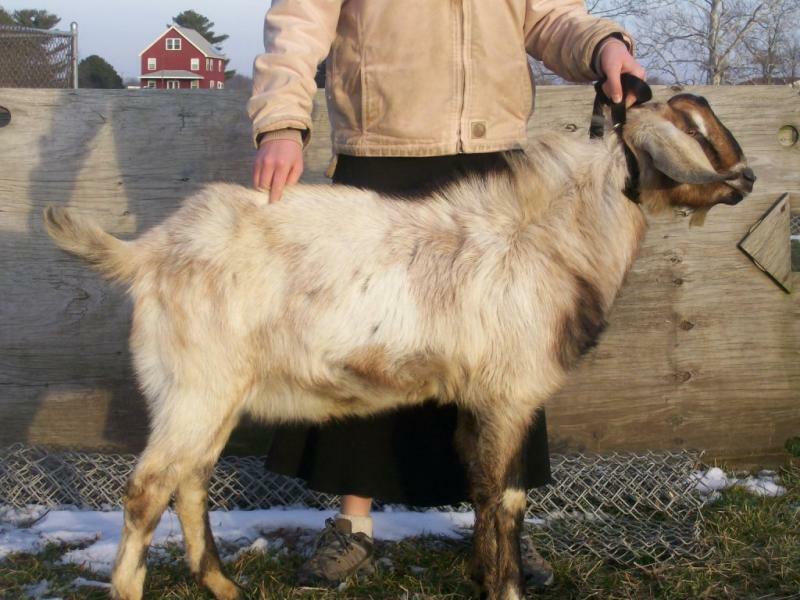 WADI DELIVERED A LARGE BROWN SINGLE BUCK KID WITH BLACK HIGHLIGHTS AND NO OTHER MARKINGS AT 11:30 A.M.
(sold) Going to his new home Buffalo, KS. 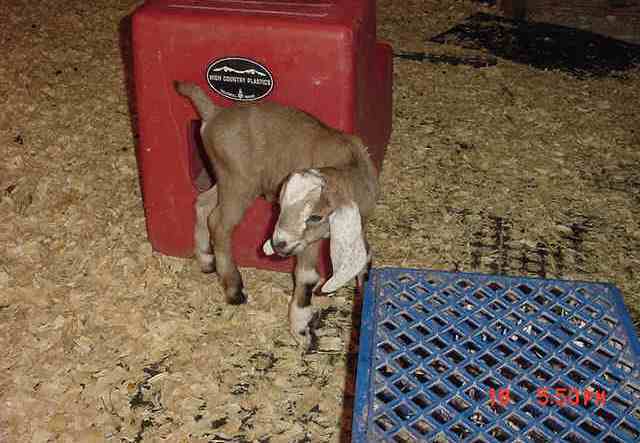 BORN MONDAY, 04-02-12 AT 12:16 A.M.